Recent research for a study of these Georgian-fronted buildings in the south-west corner of the square revealed details of Bristol’s shoe manufacturing history. 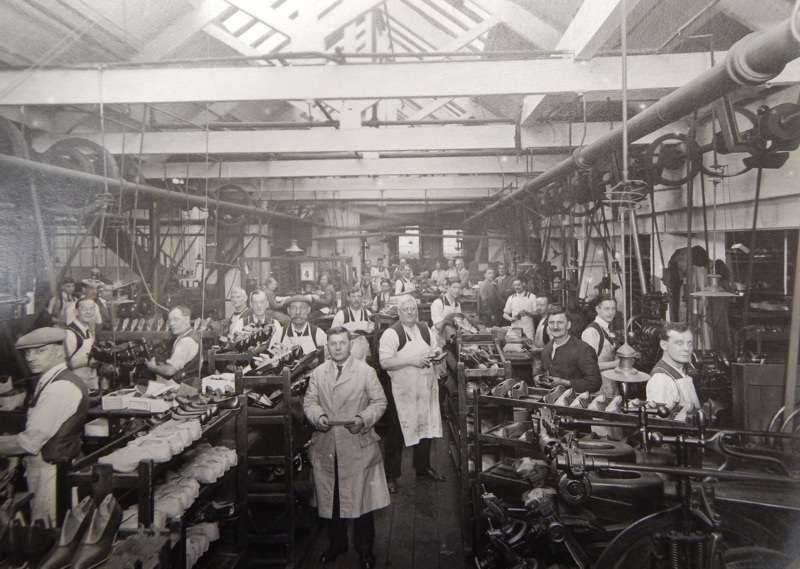 A well known family footwear company, G.F. Hutchings and Co. Ltd. used to have a factory on this site, the Excelsior Boot & Shoe Company. 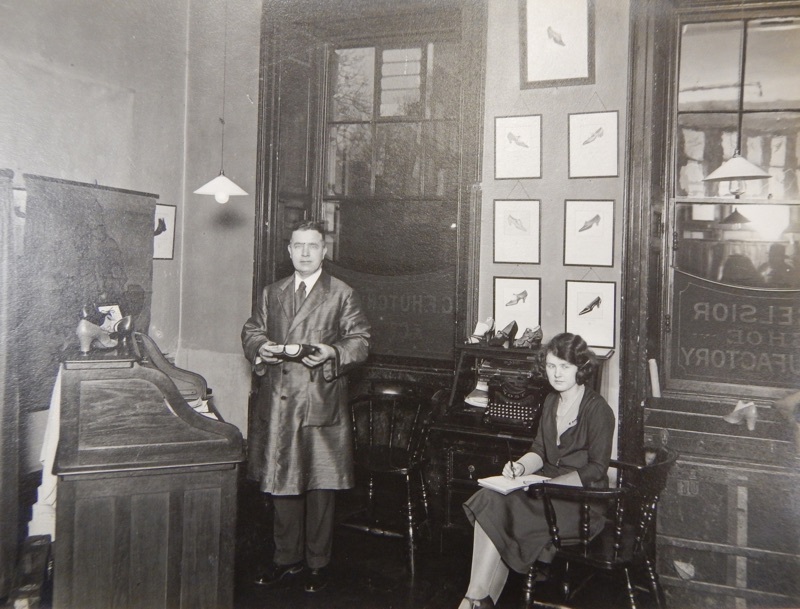 During their heyday they had outlets in Park Street and London’s New Bond Street, and made exclusive, elegant shoes which were the choice of royalty. The photographs come from an album in Bristol Record Office dated February 1932 (Ref. 40474/1) and show the busy factory floor and one of the offices with a variety of shoes on show! In 1962 the company had to close their factory after more than a century of production, with a loss of 100 workers. The site was largely redeveloped into offices in 1974 but the original Georgian façade facing the square was retained.